Every maker has a story. Be a part of the Big Purple Barn's story by placing an order, leaving a review, and seeing your review appear here. What's the long and short of it? 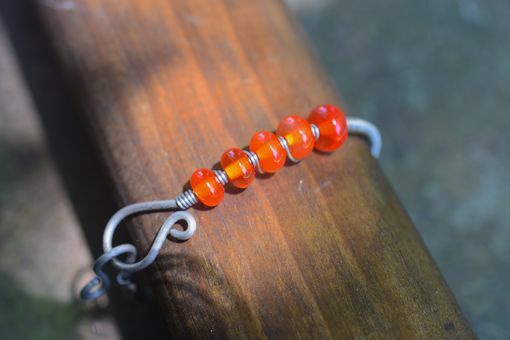 This listing is for one 'Quincy' bracelet that will be handmade to order from new wire and recycled glass. The Quincy is a wrapped-wire bracelet featuring five of the Big Purple Barn's handmade salvage-glass lampwork mini spacer beads. Harvey Haines, owner and artist behind the Big Purple Barn, specializes in recycling glass of all kinds, ranging from car windows to wine bottles. 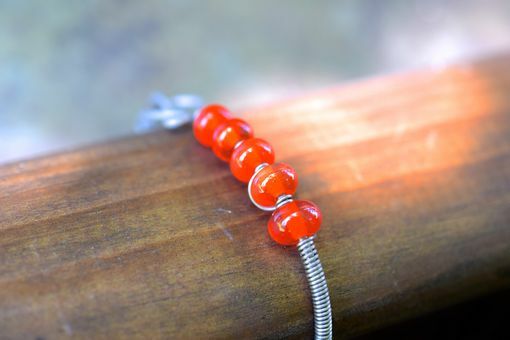 Vintage serveware was used to made the lively Orange Flux beads on this bracelet. 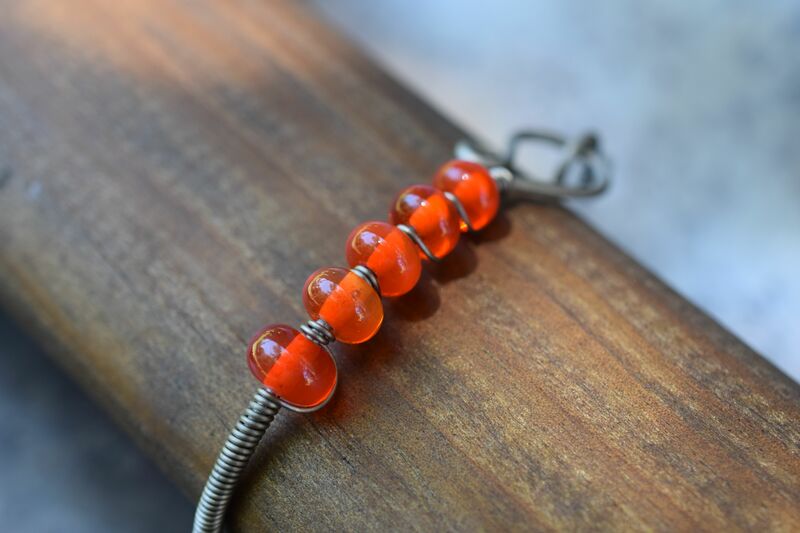 The color of this glass varies from a rich orange to a fiery yellow, while the clarity and opacity of the beads is also highly variable. Hence: Orange Flux. This bracelet can be made using brass, copper, or surgical-grade titanium wire, all of which are nickel free. The brass and copper are made in the U.S., while the titanium wire is made in China. When ordering, choose your wrist size from the drop-down menu. This type of bracelet inherently has a slightly loose fit. Want a different color of glass, larger or smaller size, another type of bead, or something else? Go ahead and request a custom order! Your bracelet's actual color may vary slightly from what you're seeing on your screen. 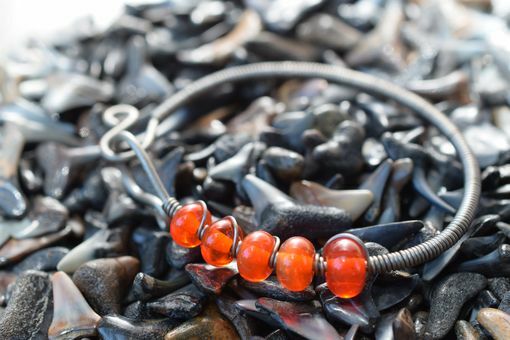 Every bead is individually handmade to order without molds or presses. Size and shape will vary.